This week Randy Mosher joins me to discuss cutting edge research into beer sensory perception and how our brain uniquely perceives and distorts the flavor, aroma and taste of beer. Today my guest is Randy Mosher. Randy is author of many of my favorite home brewing books including Mastering Homebrew, Radical Brewing and Tasting Beer (Amazon affiliate links). He is also a certified beer judge and faculty member at the Siebel institute as well as partner in two Chicago area breweries: Five Rabbit and Forbidden Root. We discuss some of the factors affecting taste and smell as well as the fact that an average person can distinguish a huge number of flavors. Randy explains some of the complexities of taste even though it is probably one of our simplest senses. He explains the nose and how it is a much more sophisticated device. We talk about how our brain actually processes taste and aroma as well as memory to get something we perceive as flavors. Randy also discusses how our mental state, food history and “flavor warning” patterns all play a role in the processing of flavor patterns. We discuss how the sights, sounds, mood, foods we’re eating and other external factors also play a role in beer flavor. 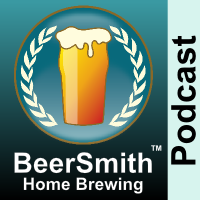 Randy shares his thoughts on judging beer including ways to make the process easier. We talk about “The Dopamine Rush of Whales”. Randy shares some final tips on tasting beer. Thanks to Randy Mosher for appearing on the show and also to you for listening!